On August 30, 1983, a Boeing 747, Korean Airlines 007 took off for Seoul from New York’s John F. Kennedy International Airport. With 246 passengers and 23 crew on board, the routine yet ill-fated flight would never complete the second leg of its journey from Anchorage to Gimpo Airport. Significantly off course, Captain Chun Byung-In inadvertently piloted the plane through restricted Soviet airspace in the Kamchatka peninsula. On September 1, as it flew near Moneron Island, west of Sakhalin, a Soviet SU-15 interceptor, piloted by Major Genadi Osipovich, shot down the civilian aircraft. All on board were killed, including 22 children under the age of 12 and U.S. Congressman Lawrence McDonald of Georgia. In the following excerpts, Paul M. Cleveland and Thomas W. Simons Jr. describe reactions to the event in Seoul and in Washington, respectively. Cleveland was the Deputy Chief of Mission at Embassy Seoul at the time and was interviewed by Thomas Stern beginning in October 1996. Simons was the Director of the Office of Soviet Affairs at the State Department and was interviewed by Charles Stuart Kennedy starting in July 2004. Their accounts reveal significant differences between how U.S. officials at State and in Seoul interpreted the facts and the impact of the shoot-down on U.S.-Soviet relations. Washington’s anti-Soviet rhetoric was much more vehement as compared to Seoul’s less politically charged analysis of the incident. You can read about the USS Vicennes’ shoot-down of Iran Air flight 655. You can also read this account of KAL 007, in which Senator Jesse Helms, who arrived on a different flight, was convinced the Soviets were trying to assassinate him. CLEVELAN D: I believe that the first report of the incident came from our military, although it took a number of days before we really knew what had happened. It was a tremendous tragedy that brought shock to all. I knew the sister of one of the victims; many of the people in the Embassy knew someone who was either in the plane or was related to one of the victims. So the tragedy was heartfelt in the American community, as well as the Korean one. The first days were consumed by general grief and concern. Dixie was at his best under such circumstances [Richard Louis “Dixie” Walker was the U.S. Ambassador to South Korea from 1981 to 1986]. Then began the difficult task of reconstructing events. 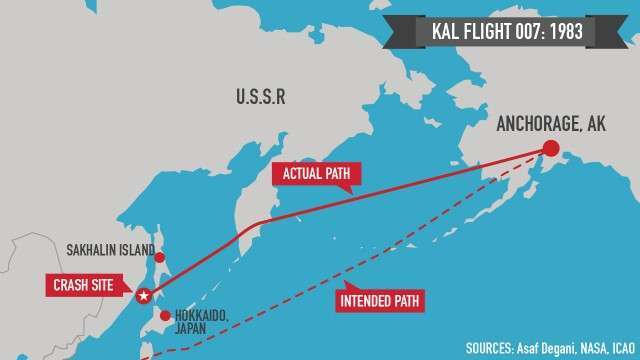 We knew fairly early that Flight KAL 007 had gone down, but why and precisely where took time to discover. It was the Indication Center at Yongsan (a military intelligence unit) that began to put the pieces of information together. From Northern Japan — a listening post — it had taped the conversation between the Soviet fighter pilots and their ground controllers. That gave us clear evidence of what had happened. The pilot had been ordered to shoot by a controller in Central Russia. I believe that the incident was not a deliberate provocation by anyone, but rather a Russian error in judgment — that is confusion about the nature of the plane that had wandered off course. The Soviets simply made a wrong decision to shoot it down, and I think the tapes proved that. Washington was soon heard from trying to get information. We then became very busy trying to fill in the blanks. In a few days, President Reagan took to the airwaves blasting the Soviet action in his characteristically “Evil Empire” fashion. He blasted them for purposefully shooting down a civilian flight and killing many innocent civilians. I was not at all happy with the Reagan speech because by that time, we in Seoul had come to understand the error that the Soviets made. I thought Reagan’s accusation did not altogether fit the facts–at least as we knew them. I don’t condone the Soviet action; it was bad judgment and they should be held accountable. But they were not guilty of the perfidious behavior of which Reagan accused them. I think that Washington overreacted to the downing of KAL 007 and I thought that the President was espousing his hard line for political reasons — not necessarily supported by the facts, at least as I knew them. He exaggerated the Soviet iniquity; I thought that that was unfortunate. I had early confirmation of my view of what happened by talking to the director of intelligence at the command in Yongsan–a brigadier general. I had a long conversation with him during which we reviewed all aspects of the incident and he agreed that the exchange between the Soviet pilot and the ground controllers was evidence that the shoot-down was a tragic accident and not a deliberate mass murder. The Soviets didn’t fully understand what they were doing; they also had obviously been concerned by the presence of one of our “spy” planes, which had been spotted some hours earlier. 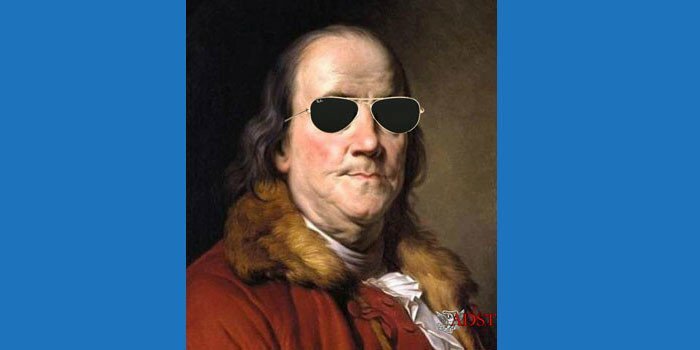 Soon after the accident the FAA [Federal Aviation Administration] and the National Transportation Safety Board people came out. They were very careful in their analysis and very professional; I was greatly impressed. I knew something about flying safety and procedures, having served as an Air Force pilot. I thought that their findings as provided us in their last briefing was right on the mark. They thought that the Korean pilots of 007 had probably accidentally programmed a 10% error into their computers before they left Anchorage and that despite the checks that were made before flight, it was perfectly possible for the same mistake being repeated three times during the three checks that a pilot goes through before take off. It was clear that this scenario was most likely if one looked at the track of the plane from Anchorage until it went down. The plane was continually 10% off in its flight path before and after it left the Alaska Air Defense Zone and that mistake was never corrected…. Somewhat in contrast, the South Koreans were not nearly as bombastic. They were never as concerned about the Soviets as we were; they were much more paranoid about North Korea. I am sure they were happy with the Reagan speech and they may well — behind the scenes in Washington — have urged that the President give a speech of the sort he did. One of the problems of being in an embassy such as Seoul is that you are never certain what is happening in Washington. Charlie Cho was the CEO of Korean Air Line and came under a lot of fire. Dixie was close to him personally and knew what troubles Cho was going through. I think KAL acted responsibly; it tried to get information out as soon as possible and then to help the families as much as possible. It was clear that KAL had a major problem on its hands; Cho was under tremendous political and public pressure and condemnation. The downing of KAL 007 was a major tragedy, especially in Korea. There were many rumors about why the plane had wandered off course. One of the suppositions was that the airline or the pilot was just trying to save fuel and took the more direct route, which would have taken him over Soviet territory. In fact, Cho had offered incentives to his pilots to try to speed up their flights at reduced fuel consumption. That just added fuel to the speculation that KAL was trying to”cut corners.” I think that was a cynical Korean view of fellow Koreans, which horrified us to some extent. SIMONS JR.: Things were loosening up in the summer of ’83, and I think we felt within the Administration, the leadership felt, that the United States had kind of restored its confidence and its position in the world and it was ready to talk to the Soviets after these two years. The Soviets were responding in a very tentative way…. 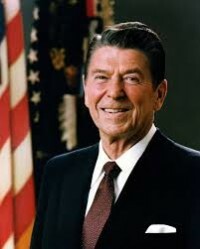 Things were sort of on track, and I think it is important to stress that because the historiography is split between those who say it is all Ronald Reagan who kind of spent them into the ground and the other side says it is all Gorbachev in the beginning of 1985 and he was responsible for the end of the Cold War. I think this chronology shows that Reagan was ready in 1983, and then that was the significance of KAL. It was a terrible tragedy in its own right, 269 people killed, but what it did was it froze the relationship into the election year of 1984. The President was under a lot of pressure — he was in California – and he was under a lot of pressure from the conservatives within his Administration. Caspar Weinberger, the Defense Secretary, was ready to freeze all Soviet assets, to stop all arms control negotiations. At State our position was that we should not let the Soviets turn this into a bilateral issue, something between the U.S. and the Soviet Union, that we should join the world in indignation at what the world was angry about which was the killing of peaceful air travellers. So we should lead world indignation on that and we did…. I remember Jeanne Kirkpatrick [the U.S. Ambassador to the UN from 1981-85] playing the tape we had of the Soviet pilot in the UN. But we thought our direct sanctions should be limited to the transportation field. Q: When you got this news within a short time, did you feel that this was a military foul-up? Or that it was an attempt by higher command within the Soviet structure to hurt relations? SIMONS JR.: I don’t know, I think we felt that it was an act of beastliness far beyond whatever justified incentive they might have had for doing that sort of thing. I think there was a range of opinion as to why they did it. Shultz was extremely indignant.…Seymour Hersh, in his book on KAL suggests, I think unfairly, that Shultz played the indignation in order to consolidate his position within the Administration, and I don’t think that was actually the way Shultz worked. I mean he was genuinely indignant in leading this Administration, but the important thing was that the President, out in California, himself decided that relations with the Soviet Union must go on, that he would indeed lead that world indignation but that the arms control process would go on. And there were a lot of other things we had to do to have a continued relationship with the Soviet Union; so he rejected that advice as he consistently did from his right wing.